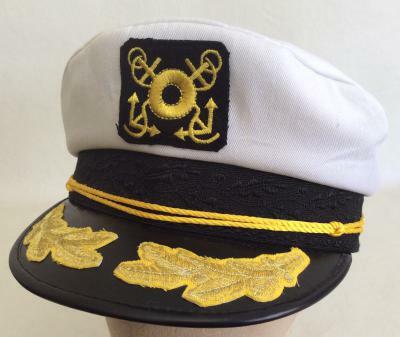 Economy price yacht skipper or captain's hat. The gift of choice for the proud new boat owner and seasoned yachtsman. Captains emblem and gold braid decoration.